The northeast US has just had yet another blizzard with up to or over a foot of snow in some places; here in London the temperature hovers around 0°C and the rest of Europe, except perhaps Greece, seems also to be caught in the relentless clutches of winter. However, it is March. Therefore spring is, although perhaps not quite ‘in the air’, it is at least ‘around the corner’ so with the eternal optimism of any devout wine lover, I am hopeful that one day soon the cold will alleviate and spring will in fact, arrive. And when it does, I plan to have my ‘wines for spring’ at the ready! So let’s jump right in. The first thing I’m ready to leave behind in the remnants of the short, dark days of winter, are big chunky tannins. In warmer weather, I’m looking for light, juicy, mouth-watering wines that will quench my thirst like a tall glass of cold water (but water never made me as happy as a glass of wine!). However just because we are in search of a lighter style of red wine, does not mean we have to sacrifice flavour, quality or interesting varieties and regions – au contraire! Here are 3 suggestions of refreshing, zippy reds to help you welcome spring. The Península de Setúbal is located on the west coast of Portugal to the south of Lisbon and used to be known as Terras do Sado – which you may still see on some labels so don’t let it confuse you. 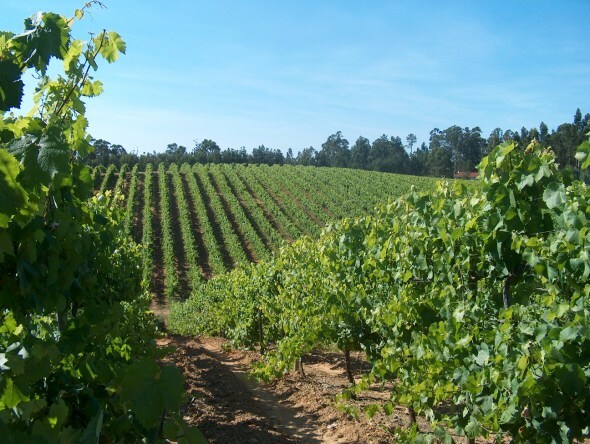 The grape variety Castelão (also called Periquita in this area and Trincadeira in Dão) produces wines that are fruity and juicy with herbal and often gamey notes but with good levels of freshness – these not heavy wines. Within the Península de Setúbal, look for wines from the Palmela DOC where the best expressions of this grape are grown on the sandy plains. Castelão is well-suited for drinking young and it can age, but I wouldn’t keep them more than 5-7 years. Drink these with traditional paella or artisanal pizza. An excellent example to look out for is Jose Maria da Fonseca Periquita. Not a grape variety that springs to mind when thinking of Spanish vino, however, Syrah is used a great deal in several of the ‘lesser known’ regions of the country (Madrid, Méntrida, Campo de Borja etc) and in many cases, is leading their revitalization. While often blended with Tempranillo and Grenache, Syrah is starting to pop up as a single varietal and the styles fit perfectly into our spring selection. For the most part, they are soft and spicy with tame tannins that would pair nicely with Ibérico ham, chorizo and cured pork. 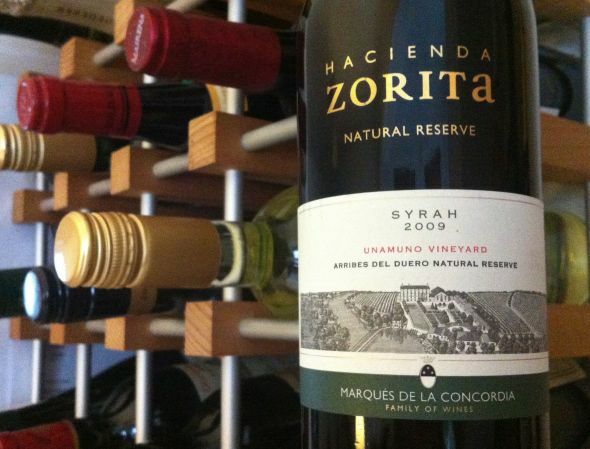 Two to look for: Hacienda Zorita Natural Reserve Syrah, Vino de la Tierra Castilla y León and Finca Sandoval Syrah, DO Manchuela. Yes, you read that correctly, it’s not a typo. The refreshing, lightly spritzy white wine from the north of Portugal is also made in a red version. This is a very unique wine and you may not like it, but you won’t know until you try! Made from a blend of indigenous grape varieties including Amaral, Borraçal, Alvarelhão, Espadeiro, Padeiro, Pedral, Rabo de Anho and Vinhão, the colour may surprise you, it’s very dark, almost opaque. Even though the tannins are quite full-on, they are countered by a sprightlyness from the characteristic Vinho Verde spritz that’s present in the reds as well. These wines should be served on the cooler end of the red spectrum, but not fully chilled, between 12-15° C (54-59° F). It’s a great wine for food as it will totally refresh and cleanse your palate between bites. They are ideally suited to regional dishes from Minho, such as the ‘codizo’ meat stew or homemade smoked sausages. Wherever you are when the sun of spring starts to shine, pour any of these wines into your glass you’ll be well on your way to enjoying a fabulous season! Look out for Part 2 with suggestions of thirst-quenching whites coming soon.